The Messina Palace (No 141 and 141A Triq San Kristofru), in Valletta was built by Fra Pietro La Rocca, Prior of Santo Stefano, towards the end of the 16th century and formed part of a larger magnificent palace called Casa Rocca Grande which had two entrances in the same style of the Magisterial Palace of the Grandmaster. In 1598, Fra Pietro La Rocca was appointed Admiral of the Order and later created Bali of Santo Stefano. On Bali La Rocca’s death, the house passed to the Italian Langue and it was henceforth occupied by many of its important dignitaries. Fra Francesco Saccano, Prior of Santo Stefano, held it in 1614 and Comm. Fra Gio. Batta Macedonio in 1643. It was next let to Fra Carlo Gattola, Prior of Capua, who was appointed Admiral in 1681 and who died in the Convent in 1684 at the age of 80 years. Fra Carlo Spinelli, Bali of Armenia and Captain General of the Galleys in 1687, then occupied the house and he was followed by Fra Mario Bichi, on whose death it was taken over by Bali Vincenzo Caravita, Admiral of the Order in 1709. In 1722 we find the premises in the possession of Bali Fra Pietro Platamone, Lieutenant to the Admiral in 1723, who was followed by Comm. Fra Francesco Pappalettere (Admiral 1745) on whose death, in 1757, it was occupied up to 1767 by Comm. Fra Giuseppe Provana da Colegno. The next occupier was Comm. Fra Massimiliano Buzzacarini Gonzaga who took the house on a life lease in 1773. It was let to Comm. Fra Galgano Scozzini in 1783, Comm. Fra Francesco Mazzei in 1785, and to Comm. 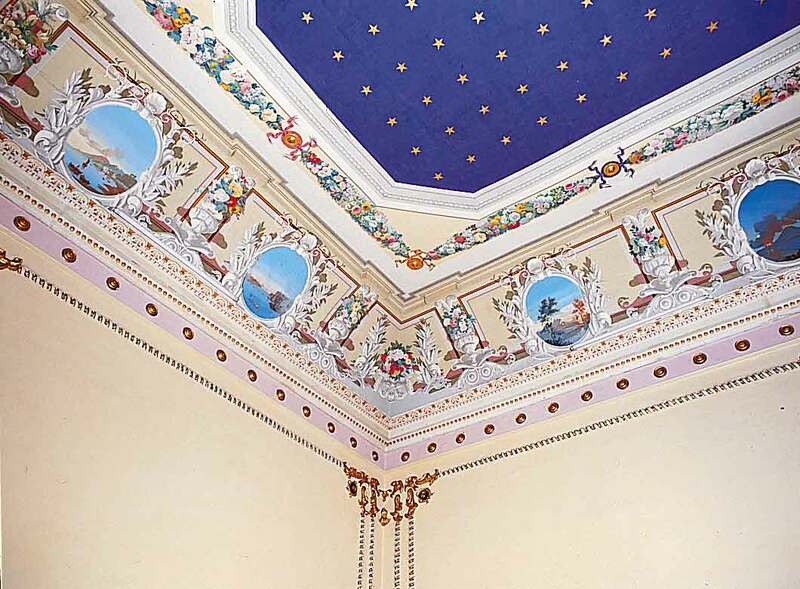 Fra Michel’Angelo Arezzo in 1791, who relinquished the lease the same year, when it was taken over by Comm. Fra Michele Benedetto Grimaldi. 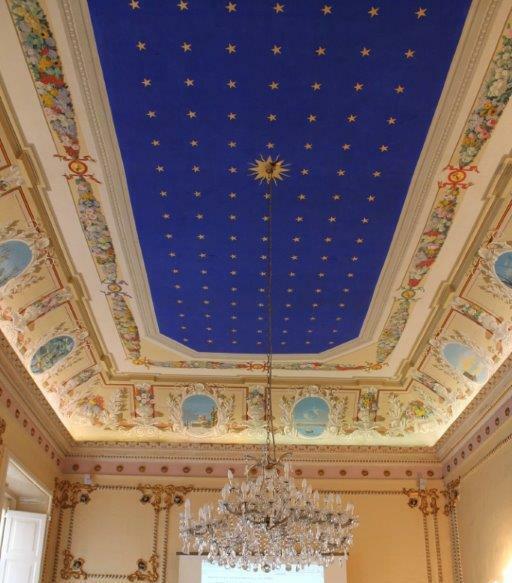 The estimated value of the Casa Rocca Grande in 1685 was Scudi 4478 (today’s equivalent being around €850). In a Deliberation of the Langue of Italy, confirmed by the Council on July 16, 1783, it was agreed to revalue the rent of the houses belonging to the Italian Langue, and the rent of the house under review was fixed, by the Commissioners appointed for this purpose, at Sc. 360 per annum. Comm. Fra Francesco Mazzei, the lessee at the moment, thought that the estimate was exorbitant, especially as a few years previously the rent of this same house had been assessed at Sc. 135. Mazzei appealed to the Council which, on June 3, 1786, after having appointed assessors, reduced the rent to Sc. 240 per annum. The French Republican Government sold the house to Citoyen (Count) Francesco Sant on the 14 Fructidor year 6 of the Republic (21st August 1798). 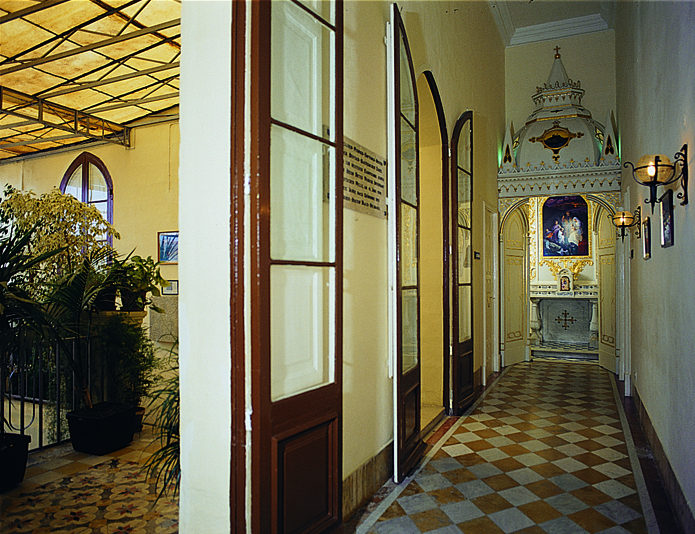 It is not known exactly when Casa Rocca Grande was divided into two separate houses – No.141 (Palazzo Messina) and No.143 (Palazzo Marina), St. Christopher Street. According to Muir’s Malta Almanac, No.141 was between 1845 and 1863, occupied by Nicholas de Ataliottis (Merchant and Agent for Anglo-Grecian Insurance Co.). 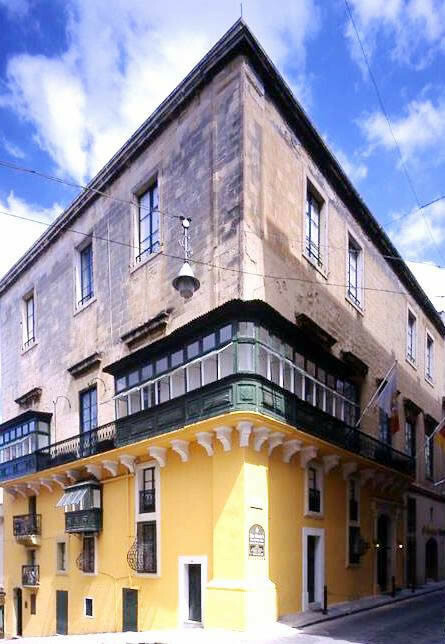 In 1864, merchant Count Rosario Messina (1796-1875) who had settled in Malta from Bagnara in Calabria, and his wife, Maria de Ataliottis, together with their five children, moved into this house. It is assumed that it was around this time that this house was named Palazzo Messina. 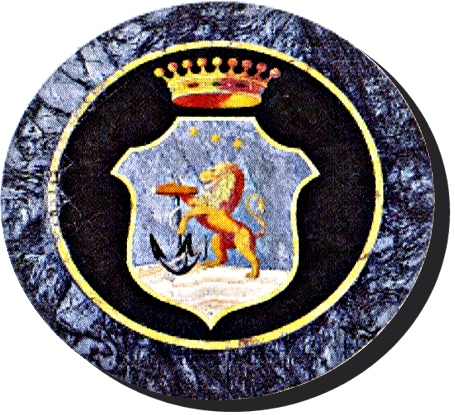 The coat of arms of the family Messina is still prominently inlaid in marble in the Main Hall of said Palace. It is of interest to record that according to A. V. Laferla in his book “British Malta”, the brigantine which transported the exiled Jesuits from Sicily to Malta in 1860 was owned by Rosario Messina. Following the death in 1875 of Count Rosario Messina, the house passed on to Count Dr Giovanni Messina. Giovanni (President of the Malta Chamber of Commerce 1894-1911) and his brother Francesco (both lawyers) ran their own bank “Messina & Sons, Bankers” from 141A, St. Christopher Street. They both resided in Messina Palace even after they were married. Upon the death of Count Giovanni Messina in 1911, Messina Palace was bequeathed to his daughter Maria and to the children of his sisters Giuseppina and Concettina. 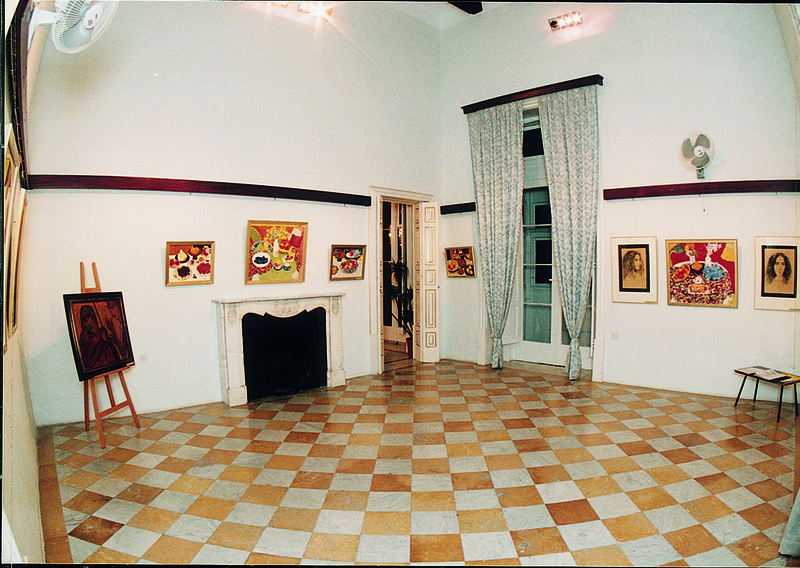 In 1932 the house, still the residence of Countess Lucia Messina (neé Bentivoglio), wife of Francesco, who had benefited through the usufruct of the Palace, was purchased by Noble Liliana Stilon DePiro. 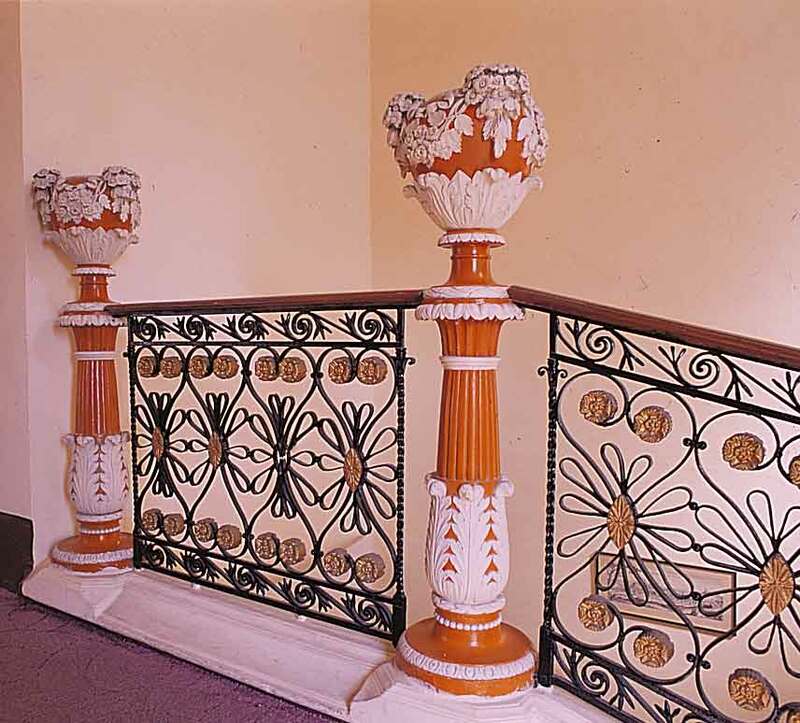 When Countess Messina, an Italian national, left the Island at the outbreak of the Second World War, Messina Palace was requisitioned for public use by the Government of Malta to be used as a school and after the war, as a Department of Education and later as the Ministry of Education. 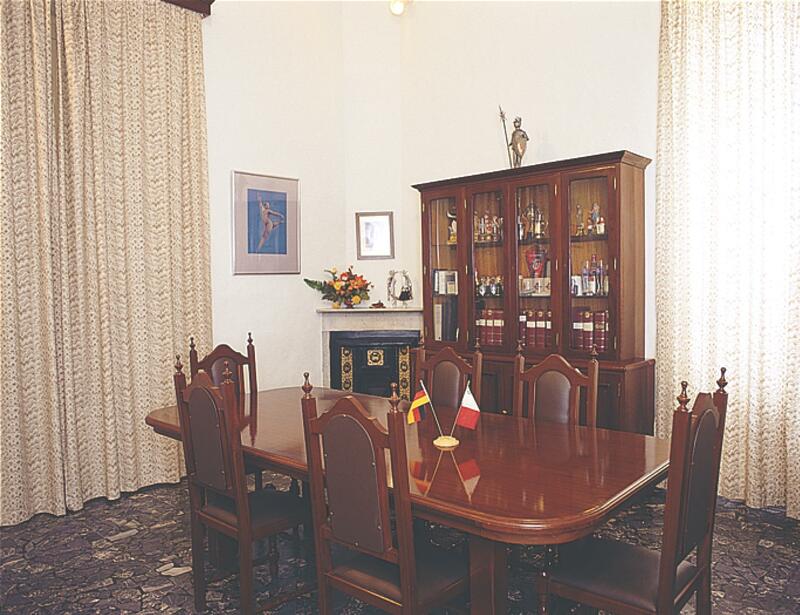 The Palace was leased to the German-Maltese Circle in 1975 until it was purchased by the Circle with the financial assistance of the Government of the Federal Republic of Germany in 1989 from the heirs of the Noble Liliana Stilon DePiro. 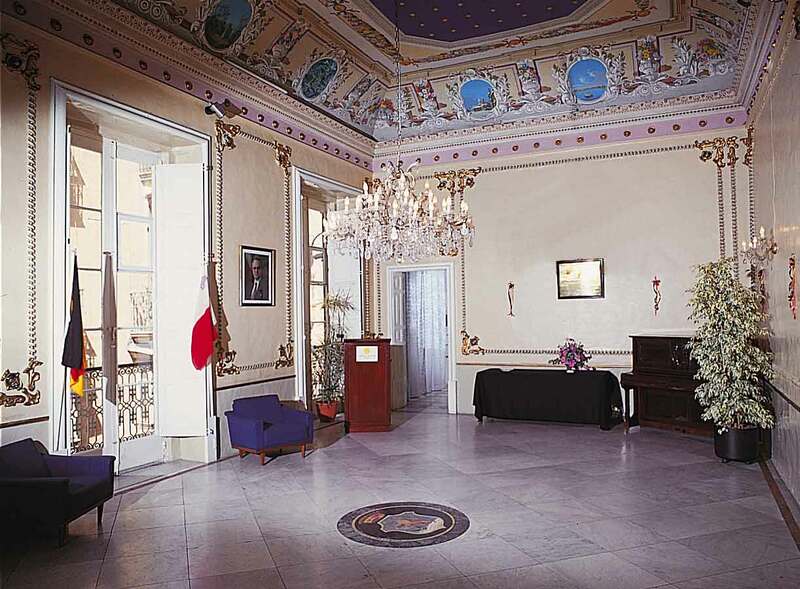 Today, Messina Palace houses the administration and the activities of the German-Maltese Circle. 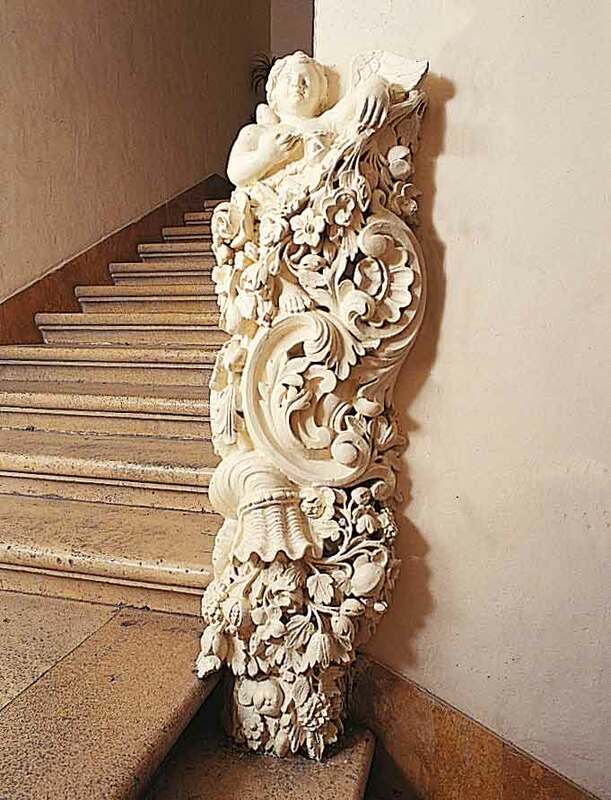 Though some rooms formerly part of the Palace, have been lost through the years to third parties, yet Messina Palace has lost nothing of its grandeur. 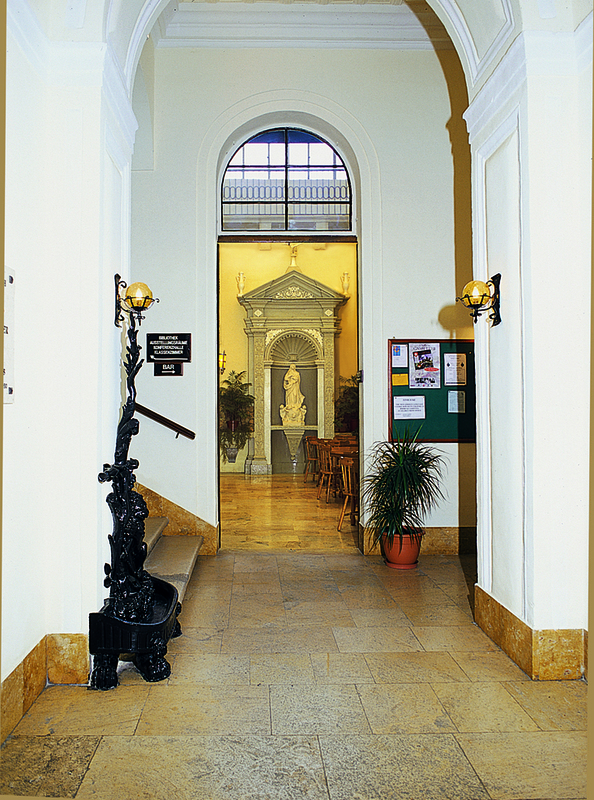 The elegant staircase, the arched courtyard, the main hall adorned with frescoes hand painted in lively colours, the private chapel with its marble altar, the typical Maltese spiral staircase (il-garigor) leading to the roof and the arched basement, not to mention a rock-cut tunnel under the same basement, are examples of this statement. Triq San Kristofru in Valletta was first named “Strada della Fontana” as a spring or fountain of fresh water was struck in its vicinity whilst a well for the storage of water was being excavated during the building of Valletta. The French Republican Government altered the name to “Rue des Droits de l’Homme”. The British Colonial Government then changed the name to “Strada San Cristoforo”. 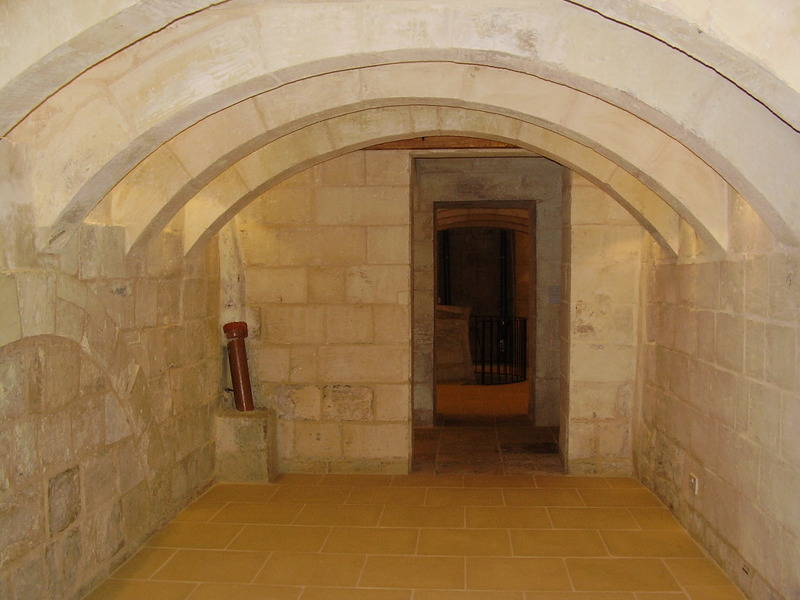 Article is based on material taken from the book “The Houses of Valletta” by Chev. Victor F. Denaro and from research on the Messina family carried out by Rev. 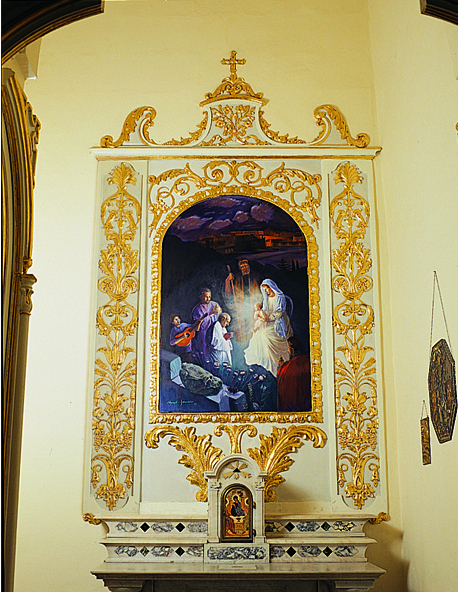 Joachim Schembri of Qormi.